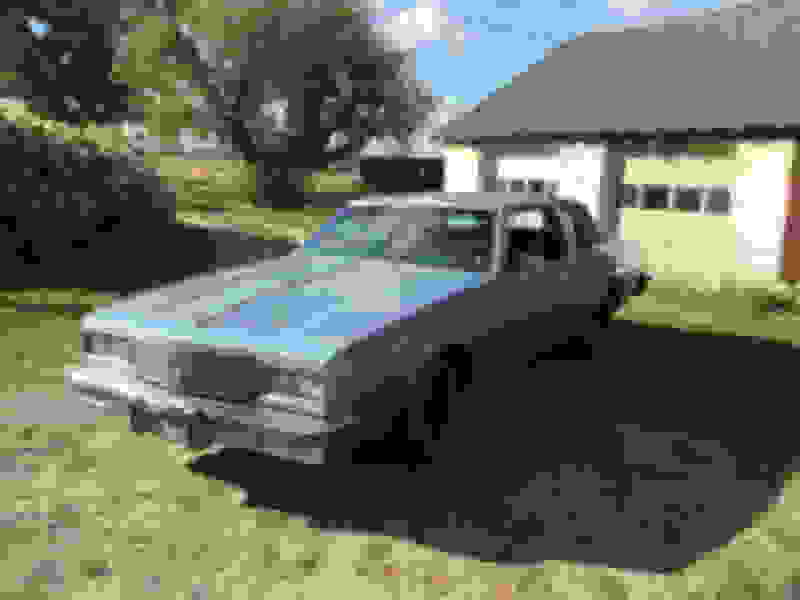 1984 olds Delta 88 worth? Hello eveybody I have an Oldsmobile that I don’t know how much is worth, so I’d like to try and find out how much I could maybe post it for if I ever wanted to. 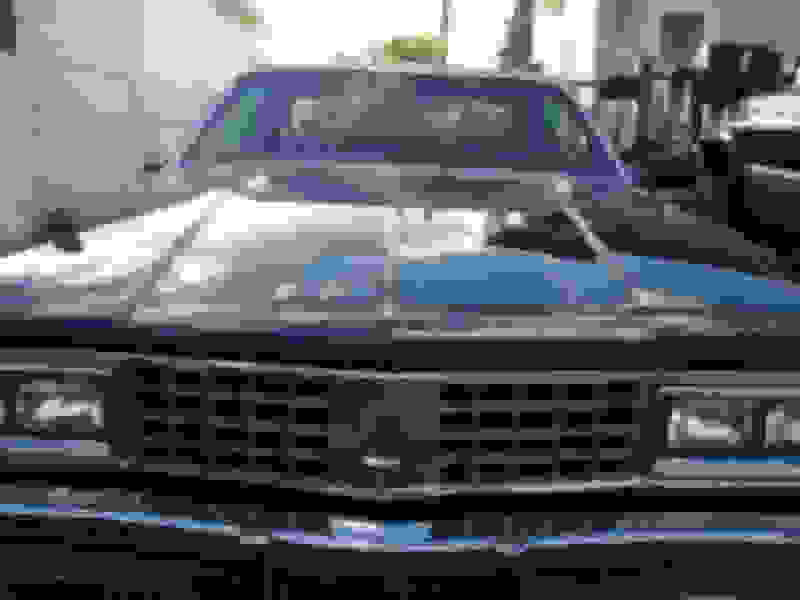 Here’s the rundown it’s a 1984 Oldsmobile Delta 88 Royale Brougham, it’s got a 307 4bbl. Q jet. 103xxx miles. AC and cruise. Transmission is a THM-2004r which is 4 speed automatic with overdrive. It’s got a posi rear end (I believe gears are 3.23) Everything works but the radio was stolen out of it and the climate control is damaged but still functional. The interior is complete in tack, one small crack on the dash, seats have no rips. The body is 96% stright with only 2 very minor dents. Body has a little rust by the doors but nothing major. The frame is solid but covered in surface rust. Under the vinyl top is solid. All lights work, all glass is in tack. Trunk lock is broken but it still opens and closes like it should. I drive it just about every other day for a little bit to get it out and moving. I’m having a mechanic go through the entire car to make sure it is 100% because it is 34 years old. These cars have no following to begin with, and with the problems you mention (dents, cracked dash, radio stolen, damaged a/c system, broken trunk lock, rust) you'll be lucky to get $1000 for it. Last edited by jaunty75; October 30th, 2018 at 08:44 AM. That’s what I kind of was thinking too, because I know it’s definitely nothing special. Do you think I could get more if I part it out? I know there aren’t too many of these left in really good condition. Could all the chrome peices and drivetrain sell for more than $1500??? And I’m not a big fan of hub caps, I repainted the rims black to match the vinyl. I can't see your pics here at work, but, I don't know how much your time is worth to you, but parting it out is very intensive compared to scrap or sale. Do you think I could get more if I part it out? How much more would make it worth it? 50% more than selling the car whole? Double? 10%? I wouldn't bother. Go back to my earlier post. These are not in high demand. That means there aren't a lot of people looking for parts for them. As Koda says, parting it out is not trivial. You'll spend a lot of time removing the parts, advertising them, dealing with whoever contacts you to buy them, some of whom will be deadbeats. You'll have to box everything up appropriately. It's a lot of effort. It will probably take you years to sell enough off of it to make it worth it. I think the car is in too good a shape to part out. You want to part out a non-running car. From what you say, this car sounds like it will be in pretty good shape, drivetrain-wise, after your mechanic looks it over. It's in the cosmetics and accessories where it has problems. I think the person who buys it is as likely to just be looking at it as cheap transportation as they are to be looking at it as a collector car. There are better examples of these cars out there for not a whole lot of money, and anyone looking for one as a collector car will more likely go after one of those than your car. Just a fact of life. If you need it gone, advertise it, take the first good offer that comes along, and get on with life. Donate the car to a charity and take the tax write off. The tax write-off will work only if he itemizes deductions. They are nice cars. A friend had a beautiful 85 for awhile that I sometimes drove. When I had to replace my 72 Eldo I looked for a Delta 88 but didn't find one. I ended up with an 88 Caprice LS which was it's Chevy counterpart. I would think someone would buy it if it will pass inspection without significant work. Keep it , turn it into a " Derby Car " you'll make more money taking each heat of the night with that Olds. Have a blast ! That would make an awesome college car for some kid. Maybe the back seat will see action again! These cars were great cars for the era. But unfortunately they are now near worthless, even more so than the G bodies, even though they were better cars from what I have seen. Other era cars found their value but these being goofy electronic carbed and are very under powered even compared to today's 4 and 6 cylinders cars. Part of the reason the 60's cars became popular again was the power they put out, they could beat anything but the later Grand Nationals which were rarely seen, the 5L EFI HO Mustang was always the water mark, despite being ugly as hell, if your car could beat one, it was fast. Keep it and enjoy it as the great cruiser it was and still is. Actually these cars are gaining popularity among the homeless community because of there spaciousness. I have seen several parked at local Walmarts in the past. It's worth $14 per 100 pounds at my local pick-n-pull yard. Using a 3,500 pound car as an example: $14 x 35 = $490. And I’m not a big fan of hub caps, I repainted the rims black to match the vinyl. Put wheel covers on it if you want to make as much money as you can. This was my first car I restored I learned a lot .A guy sold it to me for $300.I put way too much money in it but i enjoy the journey. My brother was suffering from cancer and restoring it help keep my mind off a helpless situation.This car remind me of those summer days cruising around with him when we was young. Good plan, it looks very solid. Buy it a nice set of wheels like the car above and paint can be redone or changed to whatever you want. Also better exhaust and Olds 330 through 455's are easy swaps for more power, the 330 through 403 are 100% bolt in. Of course depends on emissions laws and the checks they perform. Enjoy a car that was a very underated great car. "...near worthless, even more so than the G bodies"
Huh? Rust-free G bodies are still pretty sought-after, not so much as a collector's car yet, but c'mon. Nice examples of an 80's G can be picked up for $4-$5k, slap a set of wheels and tires on them, and you have a good cruiser. Koda is right, this would be a great high school or college car for somebody. Of course, that guy would wind up being the designated driver all the time because of how many buddies he could cram into it, but somebody has to drive! Also, tax write off's, with the change to the tax law last year, are going to be pretty hard to claim anymore. The amt of itemizations you'd need vs the standard deduction will be a tall task to achieve. As an example, I'm not itemizing this year for the first time since '97, and I have 2 sets of mortgage deductions / prop tax / interest to go along with all the charitable donations I've itemized in the past. Hell, I might even be able to use the free online version of Turbo Tax to submit my returns, and save the $40 that I normally spend to buy TT Deluxe. Nice G bodies were 2 to 3 grand here, that was the asking price betting they sold for less. I almost bought a rust free 87 442 for under 5 grand, needed some repainting due to sun damage, elbow grease may have made it nice . Of course the putz that bought it must have drove it in the winter, can you say rust holes. Asked the same price, I passed again and should have bought before the rust. G bodies are slow embarrassments, other than the GN there will never be a high demand. I am fixing mine only as a project with my daughter and because it is Olds powered, it will never have great value. I wanted $1000 for my 88 Cutlass, guy was just an *** about it, said $800 max, needless to say it is still mine. The big cars are even less desirable but he got it cheap, he just needs to realize any amount of dollars spent won't be a pile of cash when sold. Last edited by olds 307 and 403; November 2nd, 2018 at 06:10 PM. This car is my first boat of a car with a v8 rwd, I really like what I’m getting into so far. 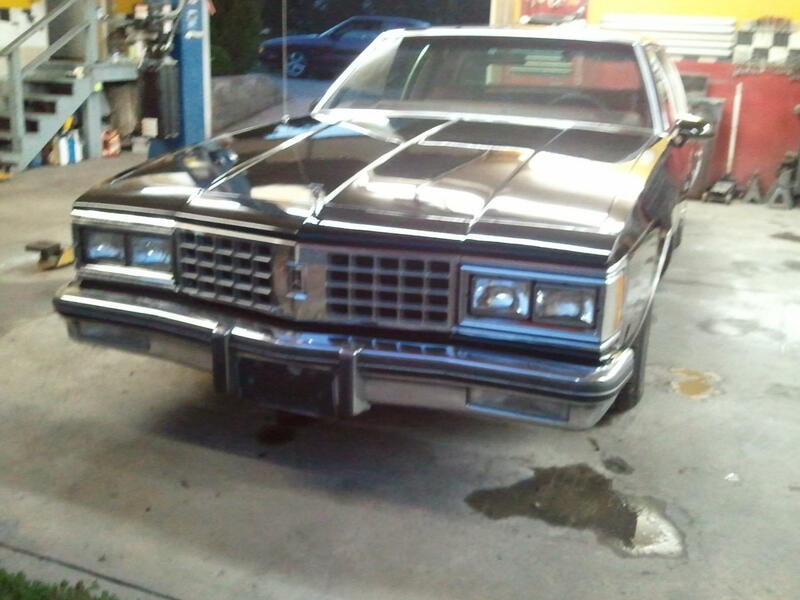 Right now I’m looking at buying a 1977 Cadillac Deville to kind of fix up along with the Olds. They are nice riding cars, the Deville’s were nice too and they have the very dependable 425 engine. Cars like these you must get in good condition as body/trim and interior parts are not being reproduced. For people who like the older full size cars they can be a bargain and they are good everyday drivers, except during winter. They will deteriorate quickly from salt. Check for water leaks, unknown leaks into the trunk or onto the floor pans will kill a car. At the time I bought my 88 Caprice I checked out and test drove some of the last of the rear wheel drive used Caddies (307 powered). 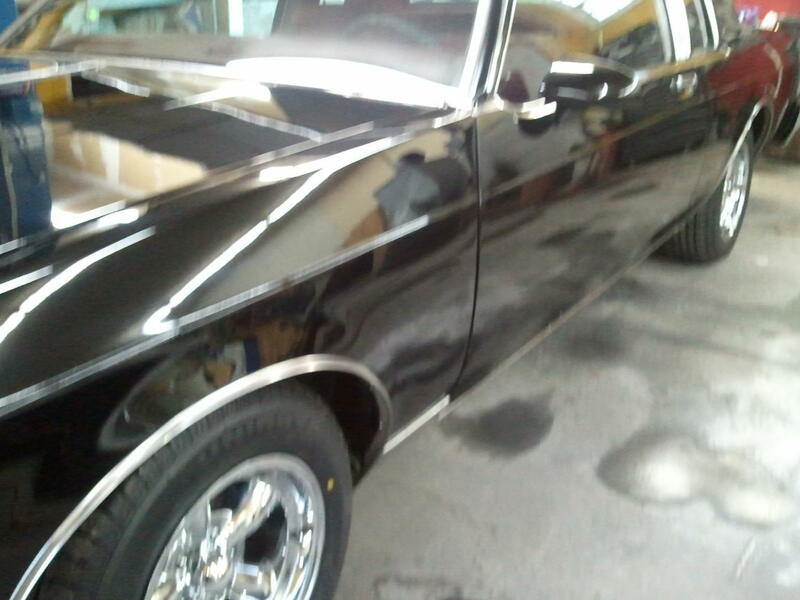 A friend of the family offered up a top of the line Caprice (305 powered). It rivaled the caddy in comfort and ride. I bought it much cheaper than the used caddy's were going for at that time. I’m sure your Delta 88 will also give a beautiful ride if your springs, shocks and front end are good. Keeping one of these running shouldn’t be very expensive. Last edited by Destructor; November 5th, 2018 at 04:49 AM. Oh the olds she glides over bumps, I took my friend for a ride and he drive a 99 Sierra. Well the entire drive his jaw was on the floor with how comfortable it was. And the caddy seems to be in good shape but it missing a couple spots of paint. around here the reason the g bodies have gone up is everybody and their brother,cousin,uncle etc made stock cars out of em.the ones that have good rustfree frame horns bring dang good money. After searching for a caddy I ended up with an absolute mint 89 Cadillac Brougham D’Elegance, I haven’t gotten to drive it lately because of snow but it rides even better than the olds (sorry delta) but yeah I can’t wait for spring to come around and have more people comment on how back in high school they had a car like that. My grandfather had an '89 Brougham. It was the last car that he owned. It was indeed a nice riding car. Handling was a bit on the sloppy side but that was the way it was engineered. The car was absolutely loaded except it had a set of old school pie plate hubcaps that would have looked more at home on a '69 model than an '89 model but they were original to the car, according to the window sticker. The 89 broughams were nice, before they added the clunky trim pieces below the waist line and no more crappy 4100. I had a 71 coupe Deville, after new springs and shocks and a total rebuild of the front end handling much improved. I loved how that car rode. 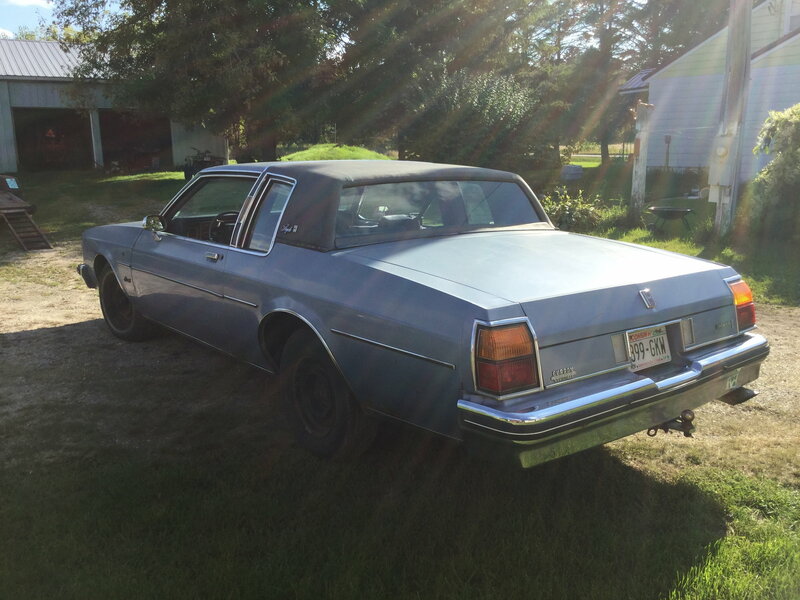 Quick Reply: 1984 olds Delta 88 worth?